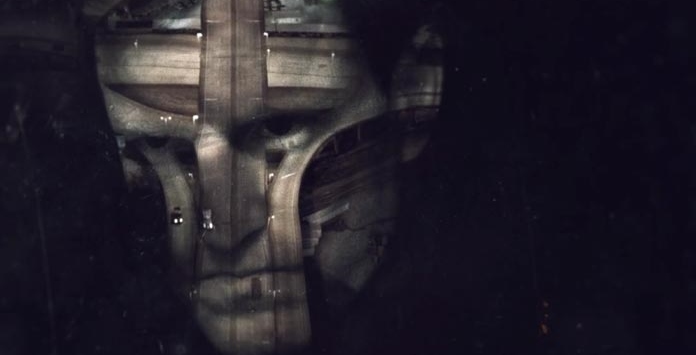 As common as ESTJs and ISTPs are in fiction, it’s rare that they’re written as well as they have been on HBO’s True Detective. Though combative and depressing, detectives Marty and Rust are two characters that see the job through to the end, much like their respective types. If they don’t kill each other first, of course. As far as ESTJs go, Marty fits well. His family life, his habits, and his general way of life are that of a Te/Si leader. He knows what he knows and normally doesn’t care for those things to be questioned. He sees how everything fits into his life and doesn’t like change. And though this alone doesn’t scream ESTJ, it is a start. 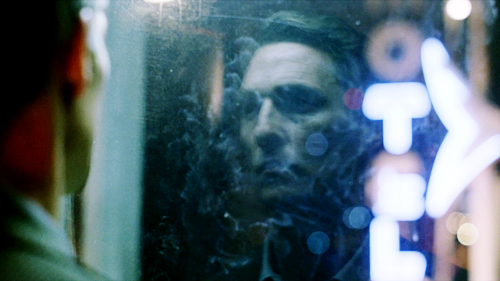 His real character comes into focus when we see his interaction with the nihilistic Rust Cohle, our resident ISTP. Rust has been typed as many things due to the depth of the writing, the ramblings, and his overall weirdness. INTP seems likely in many ways, but much of the differentiation of an ISTP rant about the pointlessness of it all, space and time, etc. and an INTP’s version is the outlook of it all. Let me explain. While intuitive types focus on the big picture regularly and easily forget the details of everyday life (thereby making them intuitive), sensors are, of course, the opposite. So what does this say about Rust? The man with quotes that fans and general skeptics will be proclaiming relativity to for years to come? Rust: I think the honorable thing for our species to do is to deny our programming. Stop reproducing. Walk hand in hand into extinction. One last midnight, brothers and sisters opting out of a raw deal. Said the man that hallucinates heavenly portals. Rust is an example of a man that looks at the bigger picture and is overwhelmed by it. He doesn’t awe in inspiration and glory but sneers at it and shakes his head. While an intuitive might take pride in their perspective on the grand scheme of things, sensors can become depressed and aggravated by it. Because they can’t understand something so complex while intuitive types breeze through it all with a smile on their face? No. But because focusing on something so great can cause someone whose “natural programming” is to deal with the daily aspects of life; the sensory and concrete. How can a world be this disgusting and still have a greater purpose? Rust asks. One of the great things about the show is the balance you get with two sensory characters that hardly like each other is that you get both sides of the picture; no need for an intuitive/sensor team-up, just two characters that disagree. For every long-winded rant that Rust goes into, Marty rolls his eyes and brushes him off. Rust: [After a rant]…You asked. Marty: Yeah, and now I’m BEGGING you to shut the **** up. Marty may be a cheater and a drinker, but he brings much needed levity to the show as ESTJs do in fiction, often times in the form of an annoyed police chief telling his two rogue detectives to turn in their badge and gun. ESTJs have no problems dismissing others they find to be incredible or disreputable. While others keep an open mind maybe even to the point of not knowing what they believe, the ESTJ’s dominant functions keep them centered and secure in their beliefs…which they have turned into personal rules that aren’t up for debate. Don’t question a man with a road on his face. Rules that often have him scoffing at Rust’s ideas about the case, yet send him into a blind rage that end in him shooting a handcuffed suspect in the face when faced with the truth he’d previously denied. That’s Inferior Fi for you. Even though he has multiple affairs, Marty still becomes extremely defensive when it comes to his wife and family, getting in Rust’s face when Rust calls him out for his affair and even beating on the two boys that attempted to sleep with his daughter. Much like an ESTJ, they have rules and standards that not everyone understands but they keep to them religiously. Concepts and ideas that are infinite and all-powerful to some becomes insipid and unnecessary to the ISTP, whose firm beliefs are simplicity and usefulness. If the ISTP sees the idea, tool, or what have you as too much, it’s quickly dismissed as irrelevant and pointless. This often leads others to seeing them as judgmental and disrespectful. Because at times, it is. 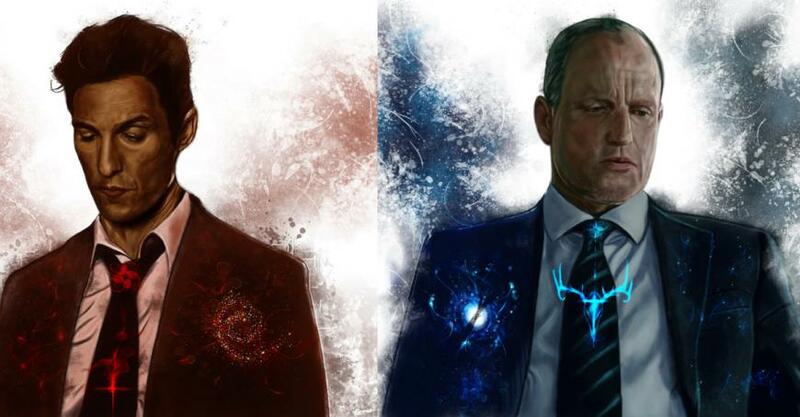 These two detectives sharing the reverse functions, Mirror relations as Socionics calls it (ESTJ- Te/Si/Ne/Fi, ISTP- Ti/Se/Ni/Fe), it often allows partners to view different sides of the same problem. An area of confidence for one partner is the weakness of the other and vice versa. Think Batman and Joker. Stoic and righteous versus laughing and chaotic. Black and white, heads and tails. This is clear with Marty and Rust as one can handle the people and higher ups who have to give the go-ahead with certain investigations, etc. while Rust is pretty much anti-social. And though Rust’s comment on him and Marty’s partnership is harsh (“Without me, there IS no you.”), there is truth that Rust’s superb skills as an investigator kept the case going….But once again, without Marty, Rust is just some guy with a bunch of “crazy” theories. He needs Marty to make them presentable and sensible. ESTJ and ISTP- two peas in an angry pod. This entry was posted on 06/20/2014 at 2:17 am and is filed under MBTI Artisans, MBTI Guardians, MBTI Stuff with tags estj, istp, Marty Hart, mbti in fiction, Rust Cohle, True Detective. You can follow any responses to this entry through the RSS 2.0 feed. You can leave a response, or trackback from your own site. Your typing of rust makes no sense. I agree that he is istp but that hes overwhelmed by the big picture is bs. The guy’s outlook is dark and dismal. I didn’t say he’s too unintelligent to understand the bigger picture but sometimes grasping something is to be overwhelmed by it. It has taken him over and it’s all he talks about. He experiences visions and freaks Marty out. Half the reason people watch the show is to hear how Rust views the world and with such an interesting character you’re bound to have flaws that make them that way. So yes- overwhelmed. How DARE you speak this way to Taylor?! He does the best he can with what little he has! Although I agree with what you’re saying you better not show your face down in these here parts or I’d break it! Well not like every site, you do have tons of sensor articles which is cool but you still seem more critical towards istp. Did one of us screw your girlfriend or something? More critical toward ISTP? No more than anybody else. Every type has told me that about their own type. Coincidence? Chances are, you’re like most people- if you can’t word your issues in a way that still allows you to feel good about yourself then you reject it altogether. Name one article I’ve posted that involved an ISTP being typed as a sensor. And yeah, dude that slept with her gave her herpes which she passed onto me. It was horrible, ruined my life. It’s too late you fool, he’s already seen me for what I am- a raving charlatan with no moral code and a way of making even the simplest of ideas into pointless drivel! I’ve got good hair, though. Rust is clearly intuitive, an INTP mostly likely as you say. No ISTP would ever go on crazy rants like he does.